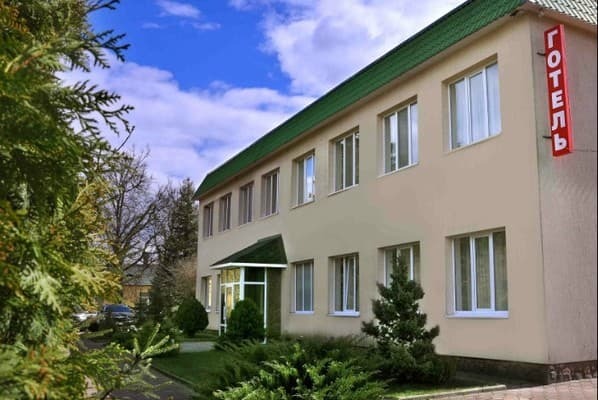 Hotel " Akant " is located in a suburban area of Ternopil, in the beautiful Bolshie Gai village, 2.5 km from the city ring road in the direction of Khmelnitsky - Chernivtsi. The hotel is small but very comfortable and cozy. 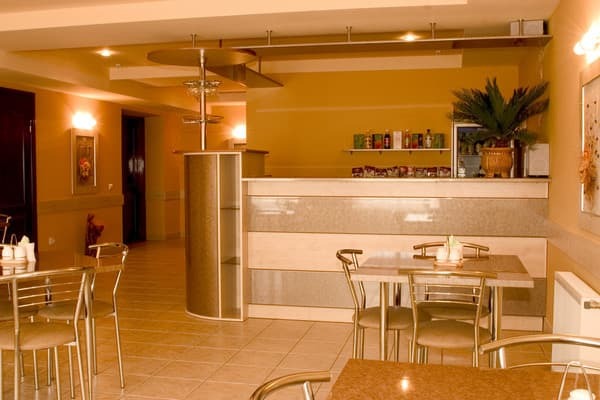 The hotel has a bar with delicious home cooking, Finnish sauna, pool and parking with round the clock security. 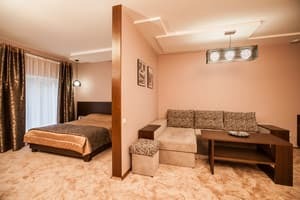 It offers double rooms category "standard", "junior" and "luxury". 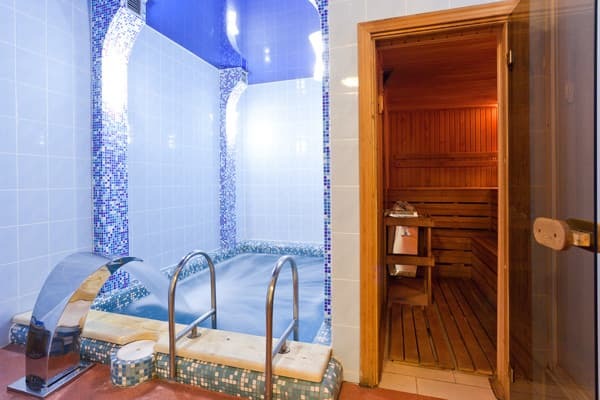 Each room has a TV, telephone, bathroom with bath or shower (cold and hot water). Description of the room: One room with two sofas. The room has a coffee table, TV. Description of the room: Cozy one-room with a double bed. The room has a coffee table, TV. 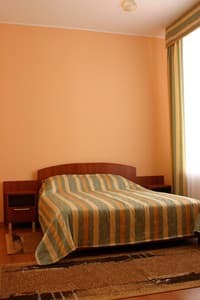 Description of the room: Spacious one-room with a large double bed. 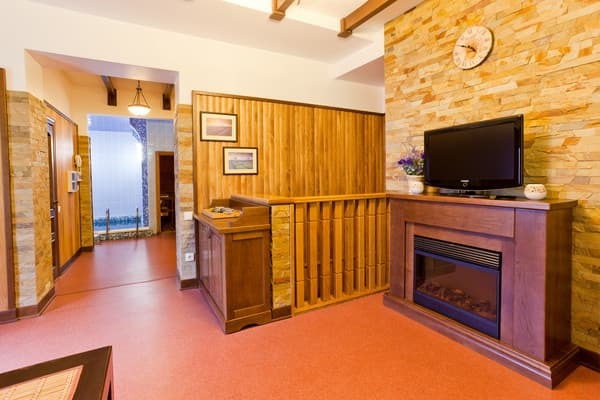 The room has wooden furniture, air conditioning, TV, large bath. Description of the room: The exquisite room is divided into a bedroom and a drawing room, there is an entrance hall. The room has modern furniture, air conditioning, refrigerator, digital TV, large bathroom. Additional beds are not available. On site, there is a bar with home cooking.